Click Here to Purchase Tickets for YSU vs OSU on May 14! Now Hiring 2019 Game-Day Employees! Click Here to Apply. Join the Scrappers Community! Click Here For More Information. Show Off Your Talents at Eastwood Field! Give Your Players the Experience of a Lifetime! Click Here To Learn More About Scout Night! The Scrappers have developed the League of Champions Fundraising Program in order to help allieviate financial burdens for local youth leagues. It is a long term cooperative partnership that includes an on-going fundraising program as well as rewards for teams and/or individual players. Best of all, each year you provide your kids with a ballpark experience they will cherish forever. Our purpose is to provide some financial relief now and to continue providing avenues for financial support in the years to come! 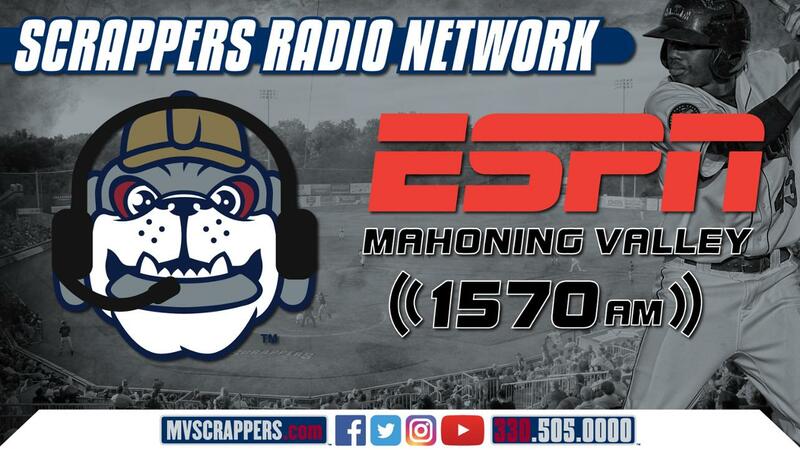 Scrappers' Single Game Tickets On Sale Now! Pizza Hut Saturday Package Now Available! Opening Night Package On Sale Now! Senior Discount Tuesdays Coming To Eastwood Field!